Dr. Hayley Brown went to medical school to pursue her life-long goal of becoming a plastic surgeon. She was raised in a family of physicians and was exposed to various medical fields during her childhood in Scottsdale, Arizona. Plastic surgery always sparked interest, as it was the only field in medicine and surgery where science merged with visual art, both passions for Dr. Brown. She has always enjoyed working with her hands and creating. Dr. Brown was raised in Scottsdale, Arizona and attended the University of California at San Diego where she obtained her degree in Bioengineering. Medical School followed, at the University of Texas in Houston. She was elected into the Alpha Omega Alpha Honor Medical Society for her achievements in medical school and rank at the top 10% of her graduating class. An internship and residency was completed in General Surgery at the Phoenix Integrated General Surgery Program, where a vast surgical experience was obtained along with early hands-on plastic surgery experience. A Plastic and Reconstructive Fellowship was completed at the University of New Mexico, with accredited training in cosmetic surgery, trauma, and reconstructive surgery. Dr. Brown began her practice of plastic and reconstructive surgery in the Las Vegas area in 2000. She established a busy cosmetic surgery private practice in Henderson, Nevada. Her practice specializes in cosmetic surgery of the face and body. Dr. Brown is an active member of the American Society of Plastic Surgeons and The American Society for Aesthetic Plastic Surgery, which signifies excellence and expertise in plastic surgery. Dr. Brown is Board Certified by the American Board of Plastic Surgery. She is a Fellow in the American College of Surgeons and holds active status Medical Doctor Licensure by the Nevada State Board of Medical Examiners and the Arizona Medical Board. Rocky Mountain Society of Plastic and Reconstructive Surgeons. 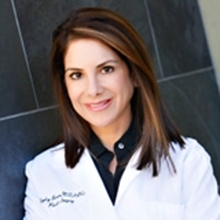 She has been featured as a “Top Doctor” by Las Vegas Life Magazine, “Who’s Who in Southern Nevada” by In Business Las Vegas, and has been listed as one of the “Best Doctors in Las Vegas” by Las Vegas Seven Magazine. Vegas Inc Healthcare quarterly listed her as a “Top Doctor in Plastic Surgery” in their 2015 edition. My Vegas Magazine featured her in their 2015 Summer Edition as one of the “Top Plastic Surgeons” in Las Vegas. In June, 2015, she was recognized by a United States senator representing Nevada in Washington DC for her contributions to plastic surgery in the Las Vegas community. Dr. Brown is actively involved in www.realself.com, a comprehensive website of plastic surgery for patients before and after surgery. Because of her regular contributions to the site while being available for consumer questions and a reliable source of information for patients, she is distinguished as a TOP Doctor on RealSelf which is held by less that 10% of all Doctors on the site. Dr. Hayley Brown believes in giving back to the community. Desert Hills Plastic Surgery Center is a Corporate Sponsor for Three Square, (http://www.threesquare.org). Three Square is our community food bank working hard to end hunger in Las Vegas and the surrounding areas by providing meals to those in need. In addition to supporting and providing financial assistance toThree Square, Dr. Brown and her staff volunteer to help distribute wholesome meals to the people in our community who are struggling to feed their families. All surgery is performed with the highest safety standards in place, in fully accredited outpatient surgery centers with a board certified anesthesiologist, Dr. Steve Brown, Dr. Hayley Brown’s husband. What makes this practice special is the fact that your board certified anesthesiologist and plastic surgeon have been working successfully as a team since 1996. They will make sure you are taken care of before and after your procedure, that your surgery is safe and you remain comfortable at all times, and they will care for you post-operatively so you have a quick and easy recovery. Her professional life is well balanced with her family; she lives in Henderson with her husband and 4 children.